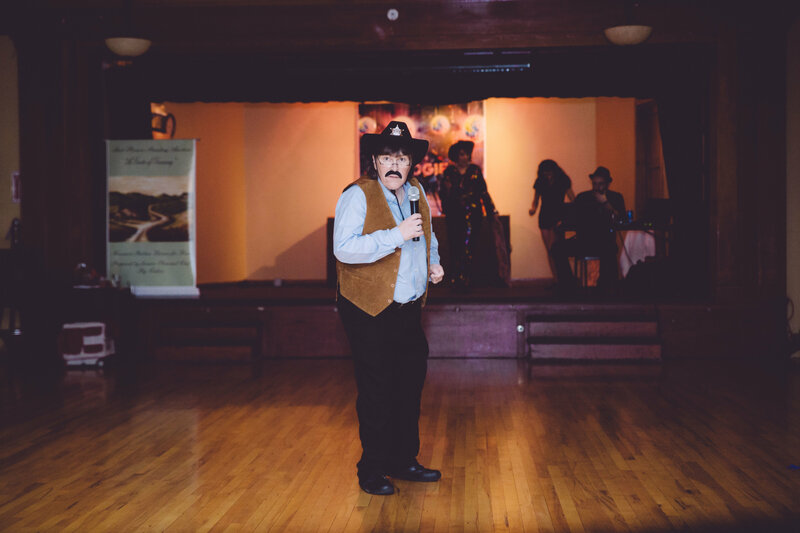 On the Friday night before Halloween, local Democrats of all ages graced the dance floor at the Eagles club on Sherman Avenue. 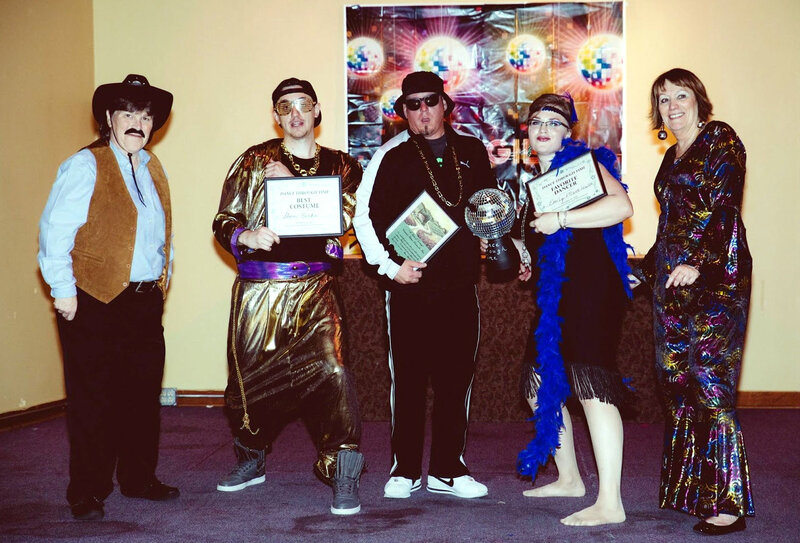 With stellar dance moves and flashy costumes, Kootenai Democrats proved they can raise money while partying in style. 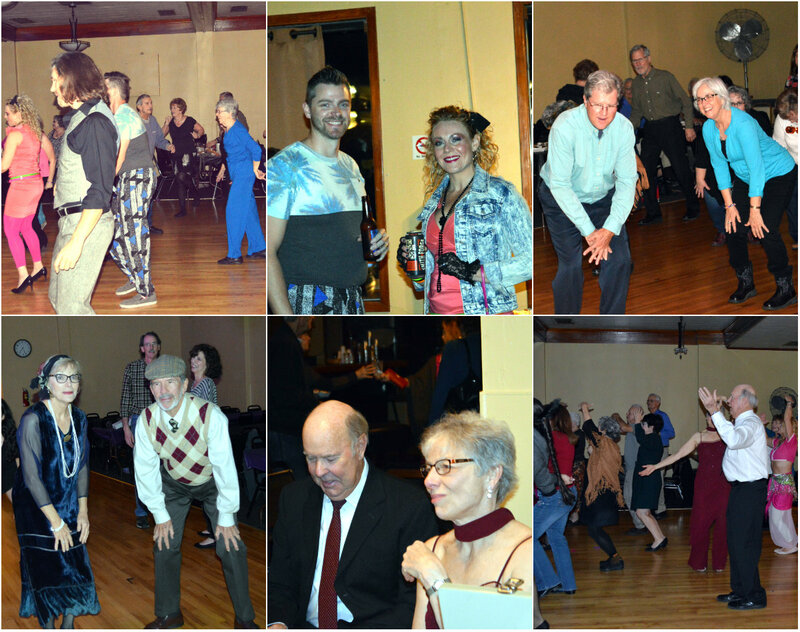 Dance professionals led the way in instructing participants the steps to various dances throughout the decades. 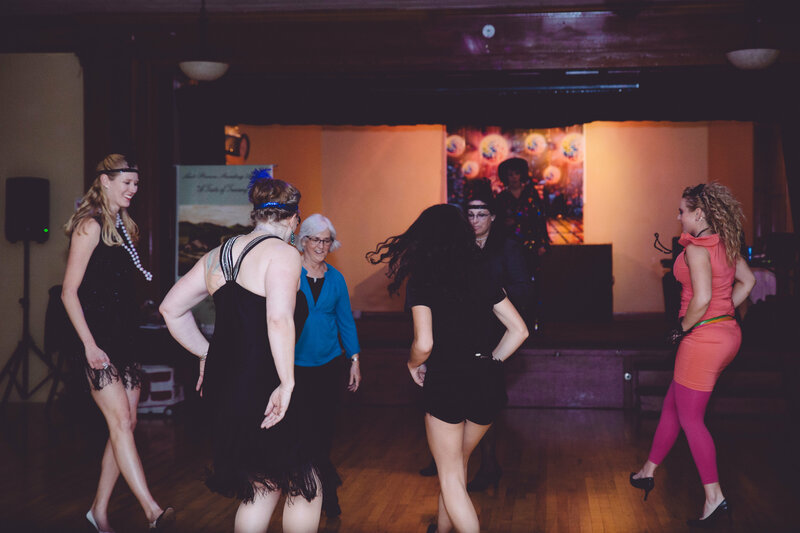 The venue sparkled with smiling faces and shiny fabrics as people danced to everything from hip hop to the Charleston. 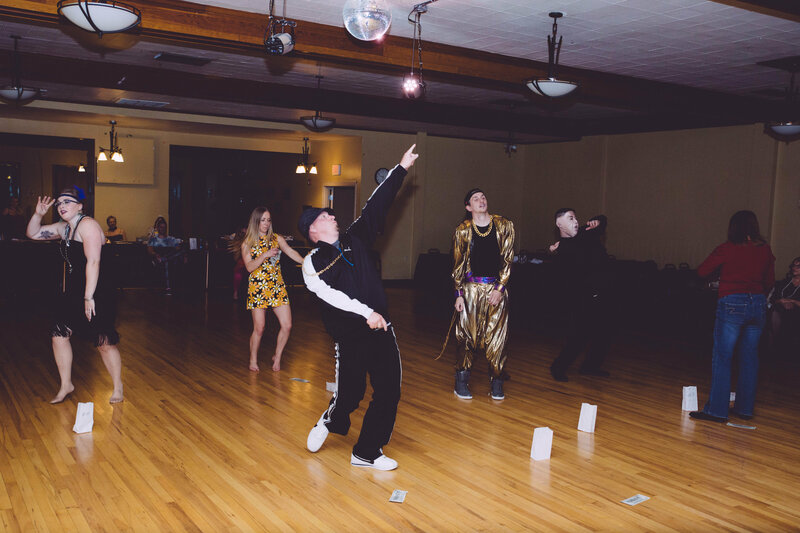 A couple songs that got even wallflowers moving were Michael Jackson’s Thriller and the disco favorite YMCA. The fundraiser was organized by the Kootenai Democratic Club in an effort to raise money for candidates. 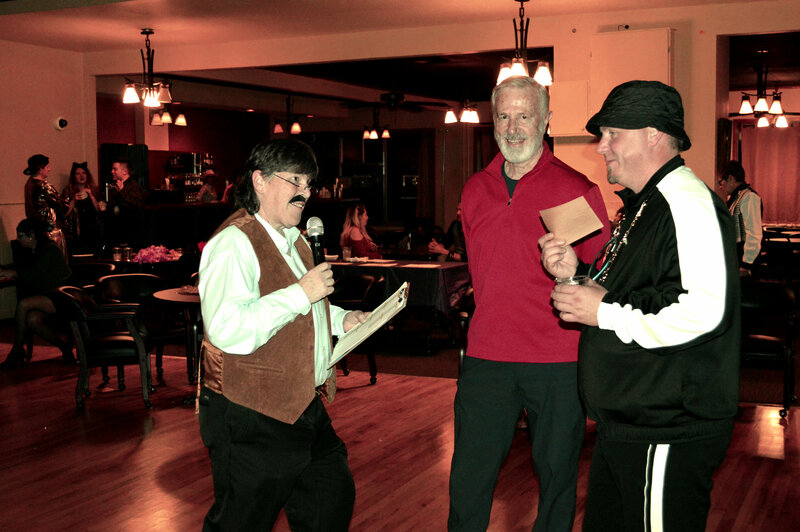 Some of the highlights of the evening were the Best Costume and Dancer contests and the Tuscany Dinner auction. Peg Cedros, who has worked as a personal chef, offered the gourmet Italian dinner at her home for four. She tantalized everyone’s taste buds with vivid descriptions of her authentic pastas and tiramisu. To celebrate the evening’s success, we reached out to the event winners and some other highly-involved participants to get their perspectives. 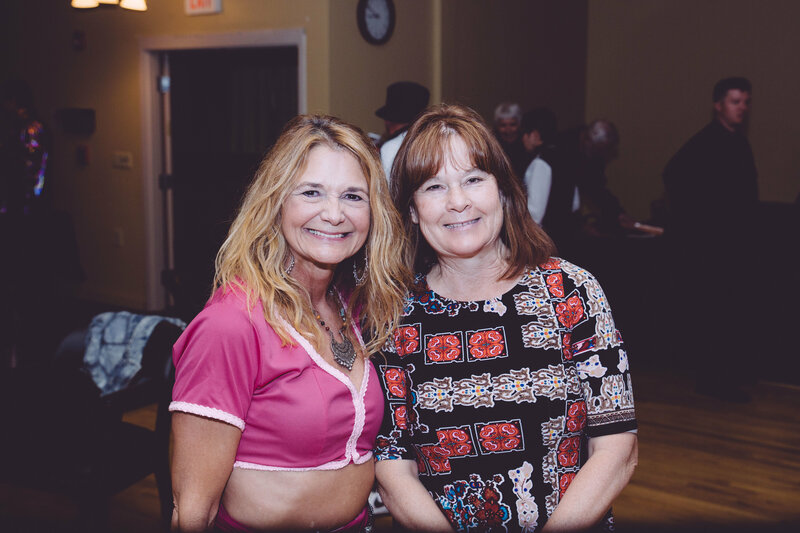 Teuvo Orjala and Larry Telles, both talented photographers, also contributed photos that artfully captured the funkiness of Dance through Time. Q: What was the inspiration behind your costume and what did you think of some other people’s costumes you were competing with? 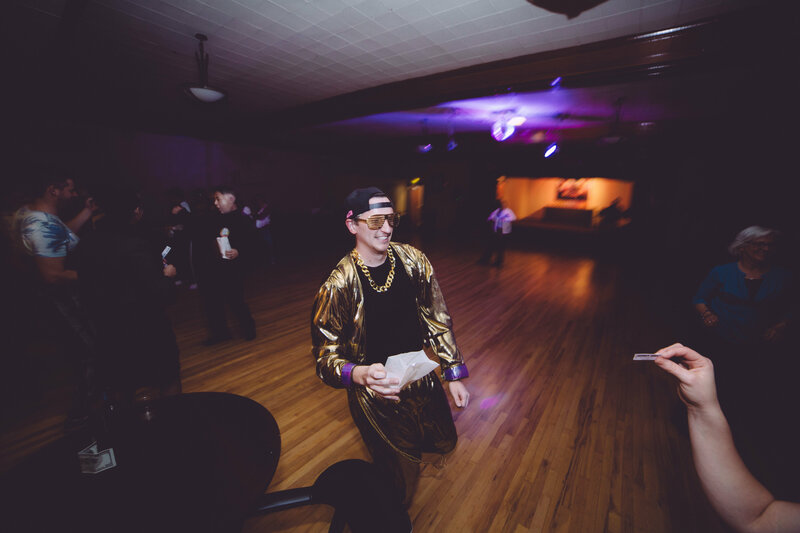 A: I was going for a cross between MC Hammer and Vanilla Ice. I wanted something bright and flashy and was trying to bring the energy and dance moves to match it. Everyone who dressed up did an awesome job. 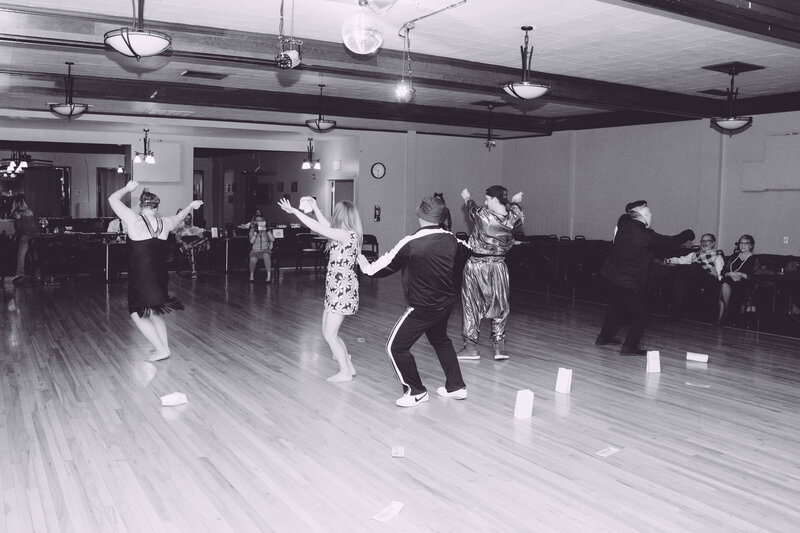 It created a fun and energetic atmosphere where everyone was free to let loose and have a good time. Q: What were some of your favorite dance moves that you learned at the event and what do you think got so many people moving on the dance floor? A: I usually only dance in my kitchen where my dogs are confused and my kids are embarrassed. It was such a good time to get out and have fun with a great group of people! It was just a fun environment and that translated into participation. 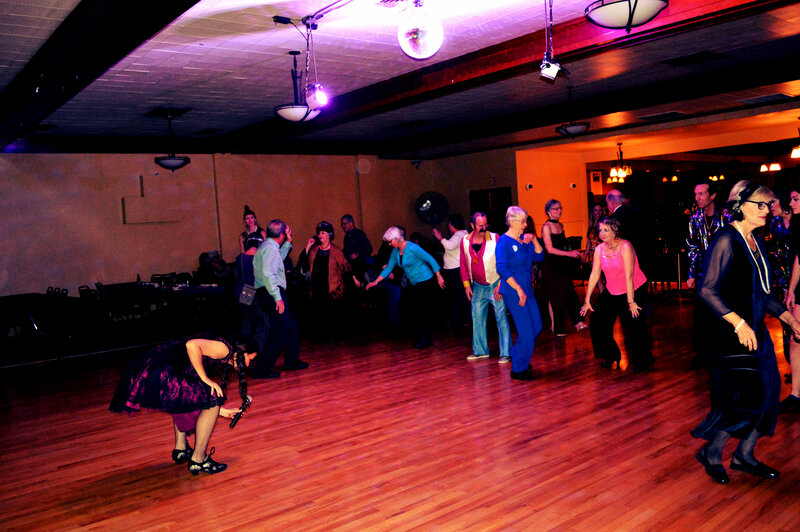 The organizers did a great job of making it fun and funky so no one felt intimidated by getting out on the dance floor. 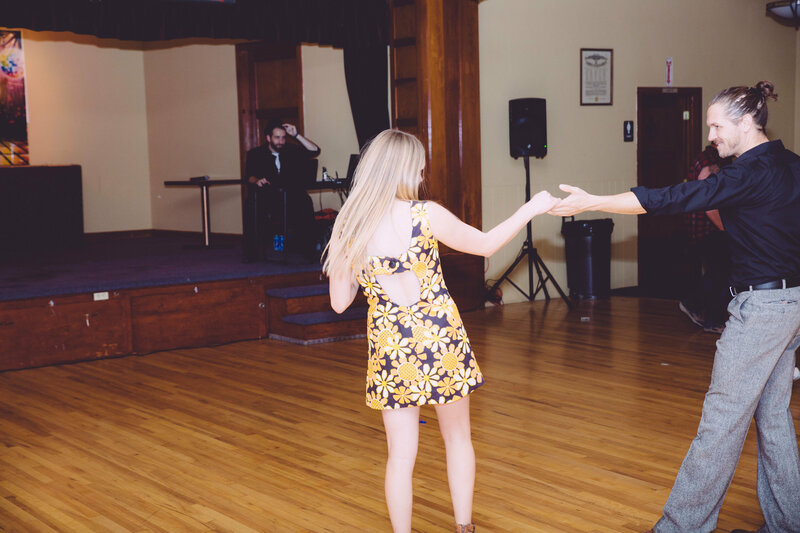 I loved all the dances and having just a little bit of instruction helped me feel less like I have two left feet! 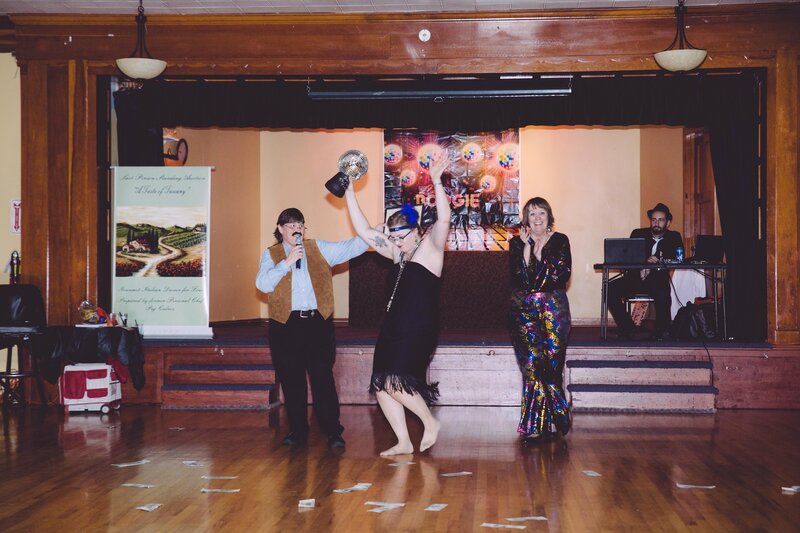 Q: What was your experience like in the Tuscany Dinner Auction? A: I like competition and worthy causes. So when you combine them, I’m going to play all out. I was thinking the whole time that I was going the distance. A gourmet Tuscan dinner for four was just the icing [on the cake]. The real treat was giving to the cause. Q: What was the energy and participation like at the event and how did that impact your role as emcee? 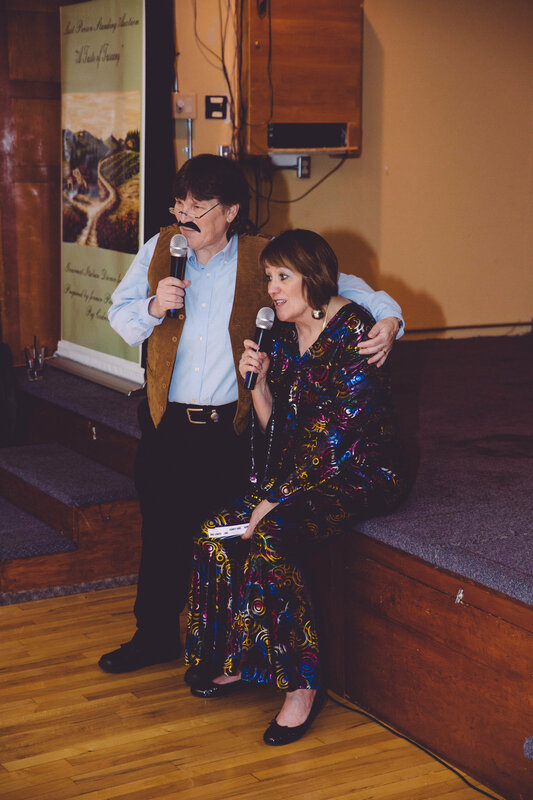 A: Being the Emcee for this event was a blast. The job of the emcee is to build and create energy and make sure people have an enjoyable time. I could not be more impressed by the participation of the audience. 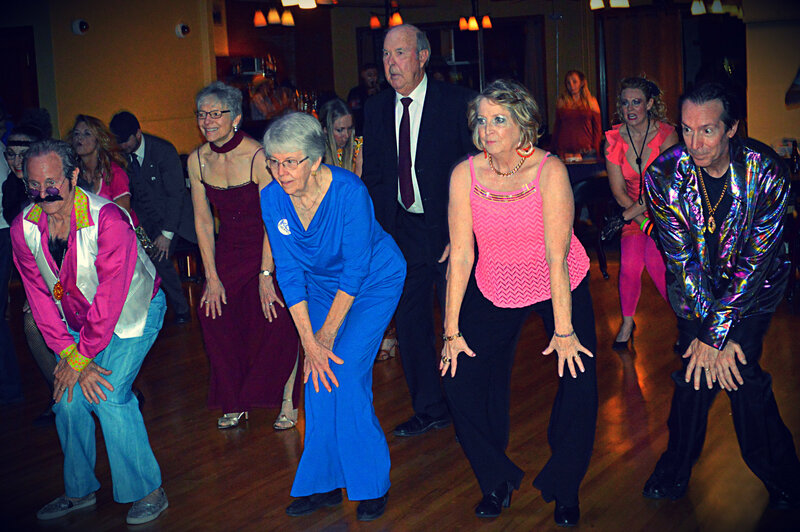 Looking out on the dance floor, [I saw] that it was multi-generational and everyone was smiling. I think people really embraced the concept and brought the energy and played along. When I see people having a great time as an emcee, it charges me up and gives me energy. 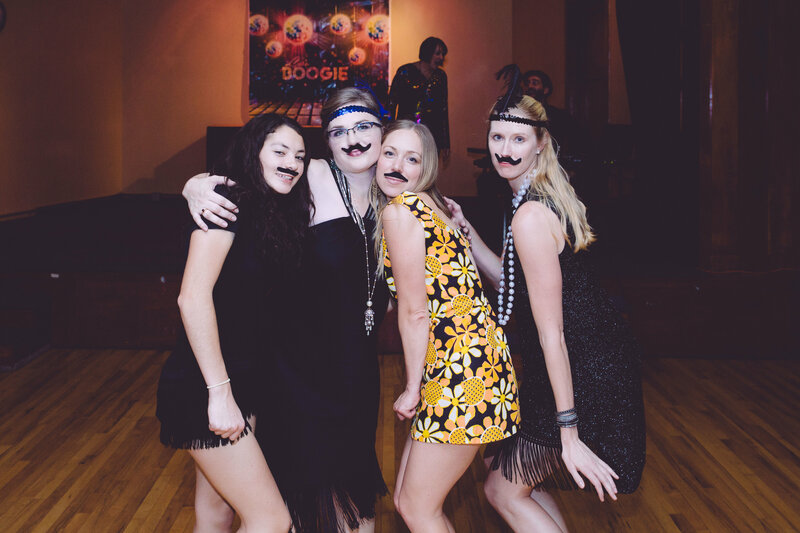 It’s not often that I go off of the [event] agenda — but when I saw the twinkle in their eyes, smiles on their faces and the boogie in their shoes, I couldn’t help myself but to give the people what they wanted! 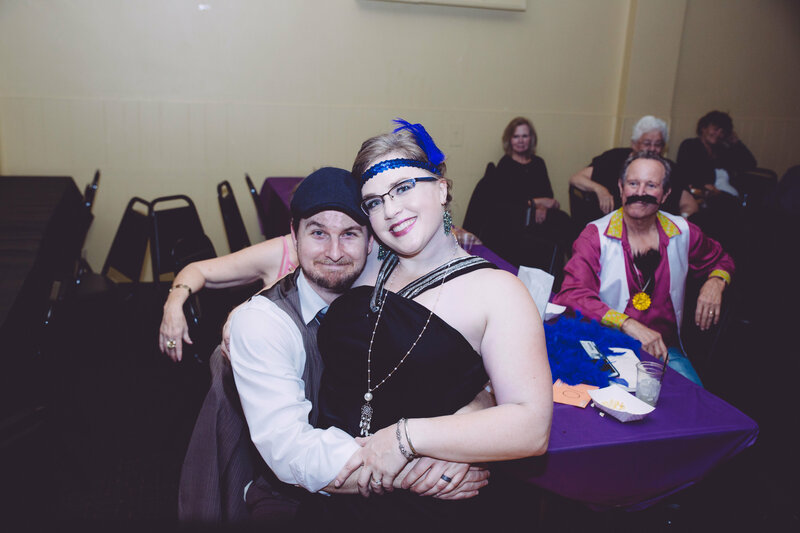 Q: As an event organizer, what were you hoping to achieve at the fundraiser and what made it successful? 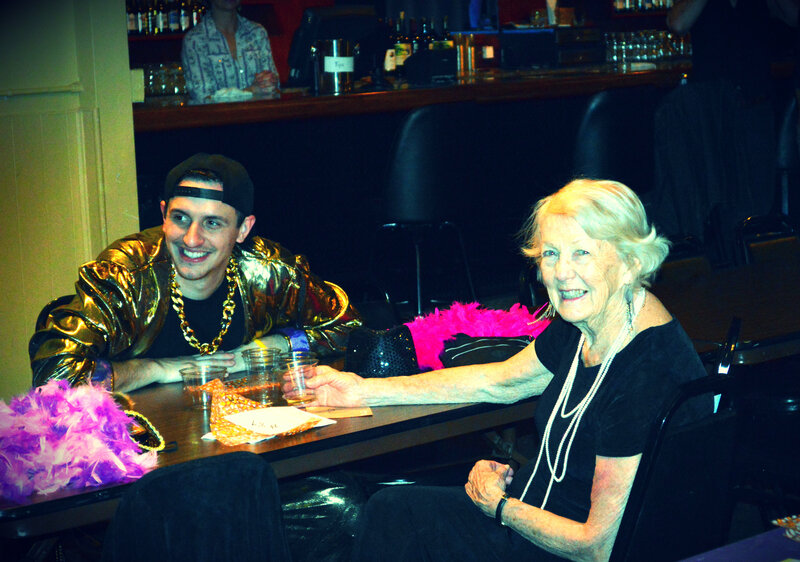 An event that would attract potential donors and volunteers of all age groups to the party. An event that would net 75 to 80 percent of the gross revenue. An event that was entertaining and not the usual boring rubber chicken dinner. 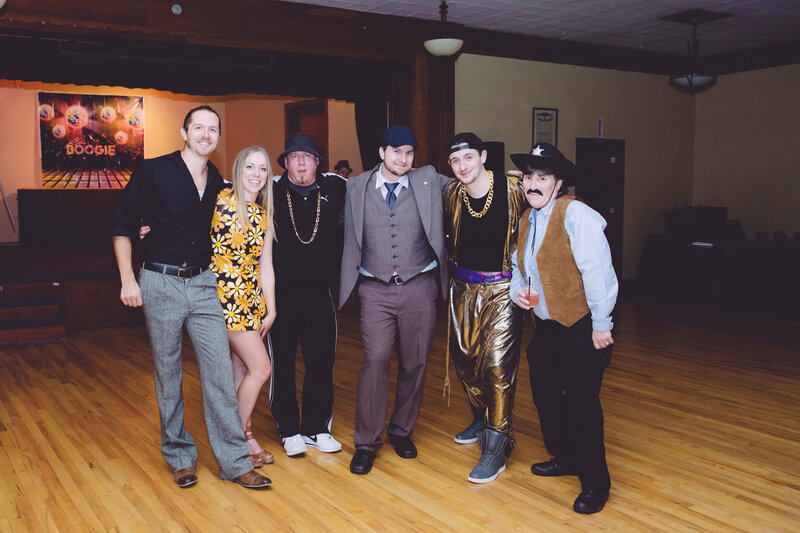 What made it successful was good pre-planning by the committee, good contingency planning, a great emcee and DJ, good venue, great volunteers helping the night of the event, and attendees who wanted to have fun. 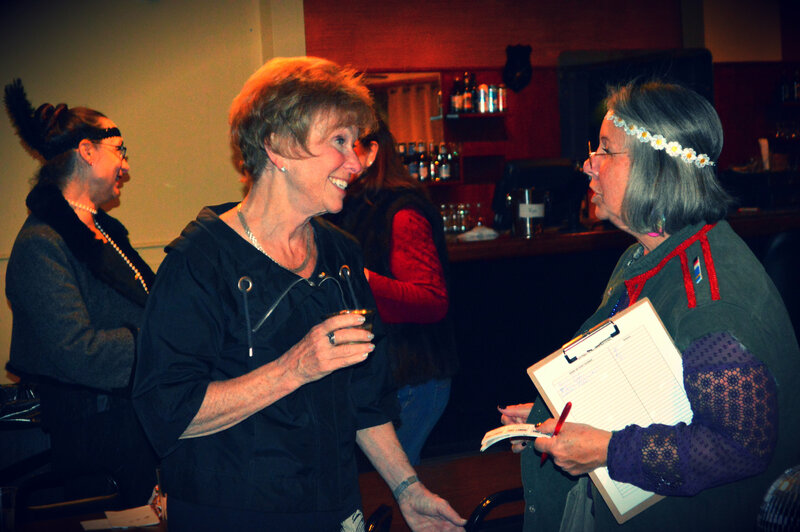 Q: What are your thoughts on getting Kootenai Democrats of all generations involved in events like Dance through Time? 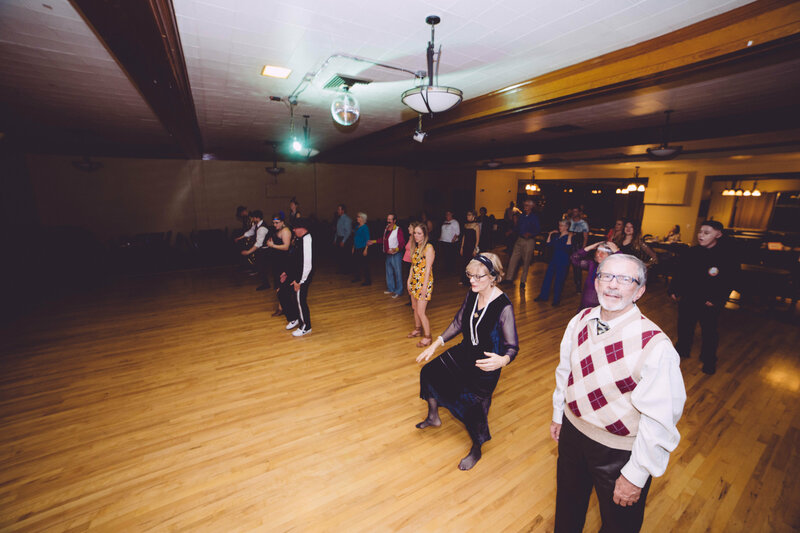 A: I was delighted to see multiple generations enjoying each other’s dances! I hope this isn’t the only time we will enjoy an event like this. I invite others with fresh ideas to involve Dems of all ages to come forward! Dems like parties!